Product prices and availability are accurate as of 2019-02-22 01:17:36 EST and are subject to change. Any price and availability information displayed on http://www.amazon.com/ at the time of purchase will apply to the purchase of this product. Our commercial grade stringers are perfect for building exteriors, large trees or custom sculptures. 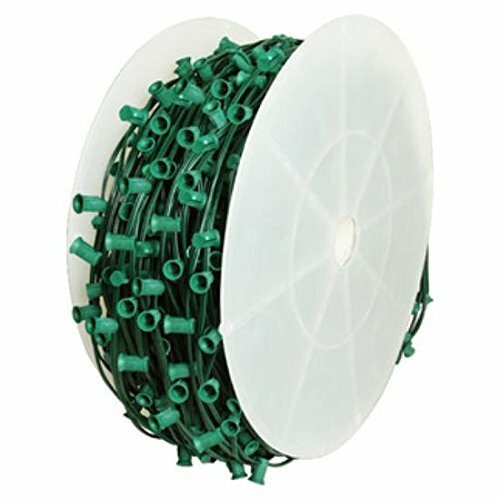 Create custom string lengths that come with these 1000 foot bulk reels. 18 gauge, spt-1, green wire. These traditional C7 (E12) green sockets are spaced 4Apart for a total of approximately 3,000 sockets. Ul listed for indoor and outdoor use.